Update on June 21st, 2017: We are no longer actively working on Prox. There are no plans for a post-beta release. 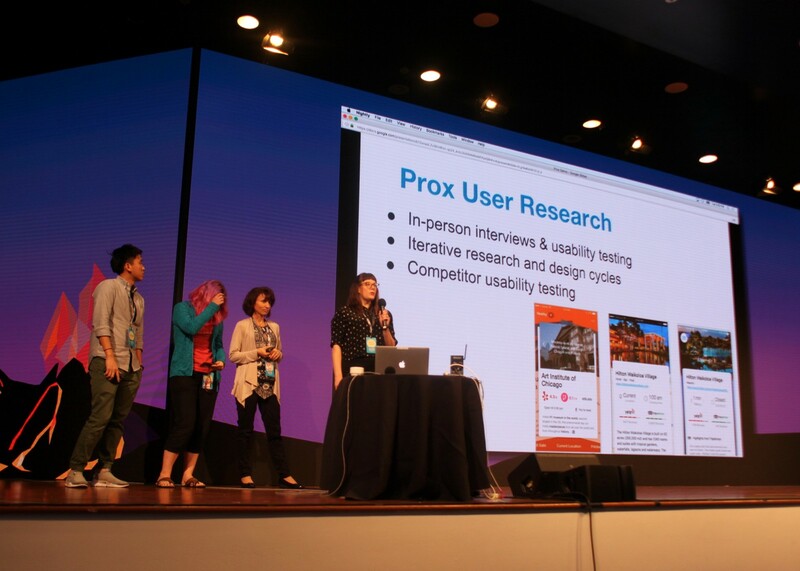 At our recent Mozilla All Hands in Kona, HI, we announced the first project by the New Mobile Experience Team— Project Prox. This is our first experiment in the Context Graph space. It’s a peek into everything we talked about earlier in the year and what that experience might look like for our users. So what the heck is it? Right now, Project Prox is taking shape as a mobile-first application on iOS. 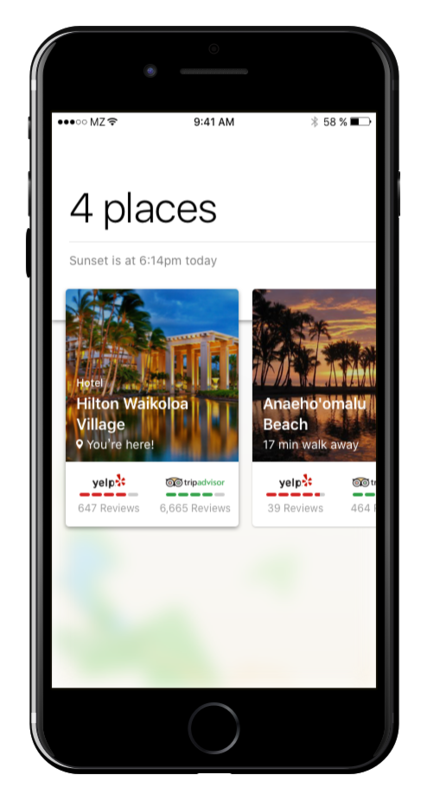 Starting with your location, we look for interesting places and events near you. That’s where our focus is at the moment — the here and now. Yes, there are also other parts to this story too. But we’ve decided that focusing on this part of the “Traveller’s” journey right now makes the most sense. 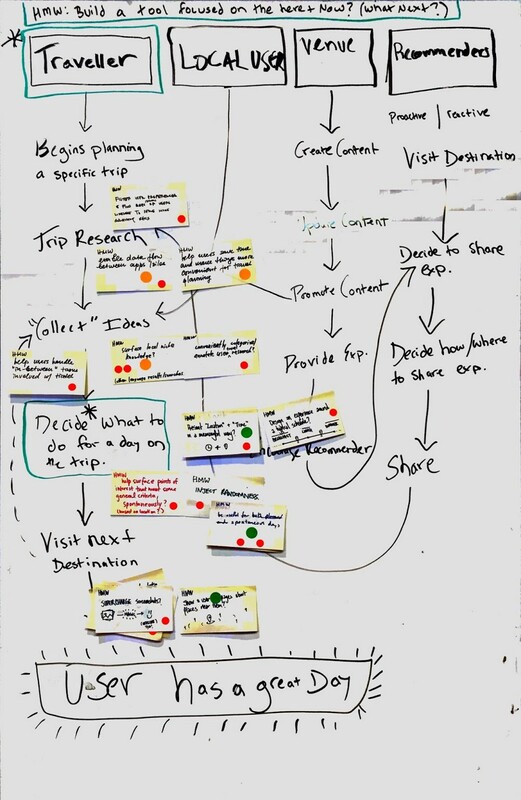 This was also something we touched on during our Design Sprint. If you’d like to know more (and haven’t already), you can read more about that process here. But I don’t have an iPhone… why is it only on iOS? Believe it or not, “only make this for iOS” wasn’t one of our goals. But with all our constraints, we felt that the iOS platform was the best place to start. We definitely want to expand to other platforms in the future. This came down to a matter of resourcing, time constraints, and the usual like. It’s important to call out our goal here: to solve real user/people problems. We want to understand the problem space and provide user value through iterative research and design. Is this something Mozilla should be doing? When you think about Mozilla, it’s pretty much synonymous with Firefox. But surely that’s not the only way we can carry out our mission, is it? Our mission is to ensure the Internet is a global public resource, open and accessible to all. How do we define “the Internet”? It takes so many different forms nowadays. We might know what it looks like today, but what about the future? How will technology influence the way we interact with “the Internet” then? Not too long ago, Mobile was the future. Now, the web platform itself is growing. 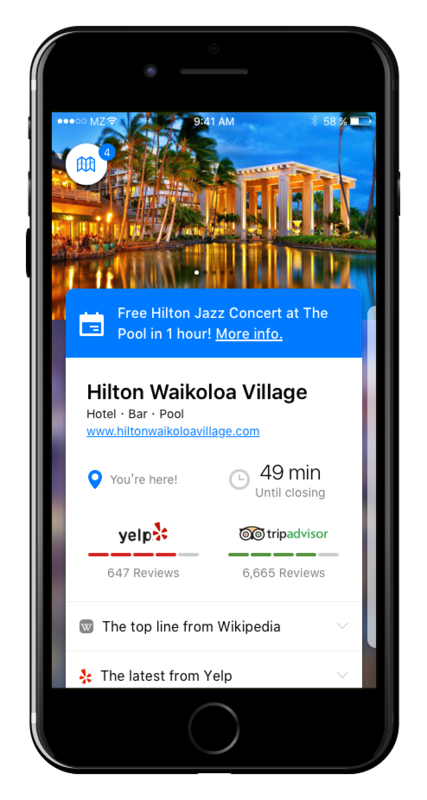 Chrome’s Accelerated Mobile Pages, and Progressive Web Apps give us the ability to create new, better experiences for the mobile Web. If we want to ensure that the mobile Web is also “open and accessible to all”, we need to grow the influence of the mobile Web too. We need to be open to new technology and consider all the different ways people are (and will be) accessing this information. Ok, so what does Project Prox look like? As soon as you open the app, we want to provide immediate value. Our goal is to enable easier decisions about what to do or where to go next. So, without even knowing what to start searching for, we want to leave you with a satisfying day. We can leverage the Open Web by surfacing relevant information in bite-sized chunks and offering a quick and easy way to find out more. There should not be requirements (like your social network) when you’re trying to get the most from the web. This should work regardless of whom you’re connected to, because your social network shouldn’t be a prerequisite for getting the most from the web. For those looking for a less immediate perspective, we also included a “Map View”. This was actually not something we tested in our Sprint. But the intention here was to offer an alternative view for users to give them more context about their surroundings. The goal here was to give users a better sense of spatial awareness. Although we never finished it in time for Kona, we still got a lot of helpful feedback that is going to help us iterate and test this more for the next version. 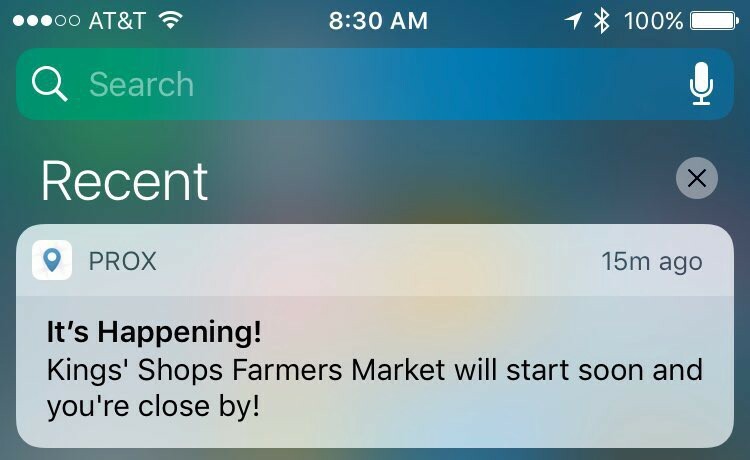 Last but not least, notifications! If you’re nearby an event, we’ll notify you so that you can decide if you’re interested or not. The nuances of notifications makes this helluva lot trickier. But more than anything, we want to be useful without being annoying. Keep in mind, all of this is still a work-in-progress. We’re going to continue iterating with the help of our User Research team until we have something we’re happy with. All in all, it’s just too early to tell. Kona was our first announcement but we’ve yet to actually launch the product. But we do have a clearer picture of what success might look like for us. We’re calling this a “V1” — so there’s lots of work to be done still. We’re going to address some of the feedback and bring the product to a level we’re comfortable with calling an MVP before releasing to a larger population. And obviously, it works better in some cities versus others. We need to get more data and gather more feedback. Improving the experience and releasing the updated product in a larger, denser city will be our next challenge. What we learn there will help us determine the appropriate next steps. If you’re interested in giving feedback, please reach out!